"Most people wouldn't even try to get Ronaldo or Madonna because they think it's such a slim chance … I've been thriving on that 1 percent chance since birth. And I've gotten lucky." 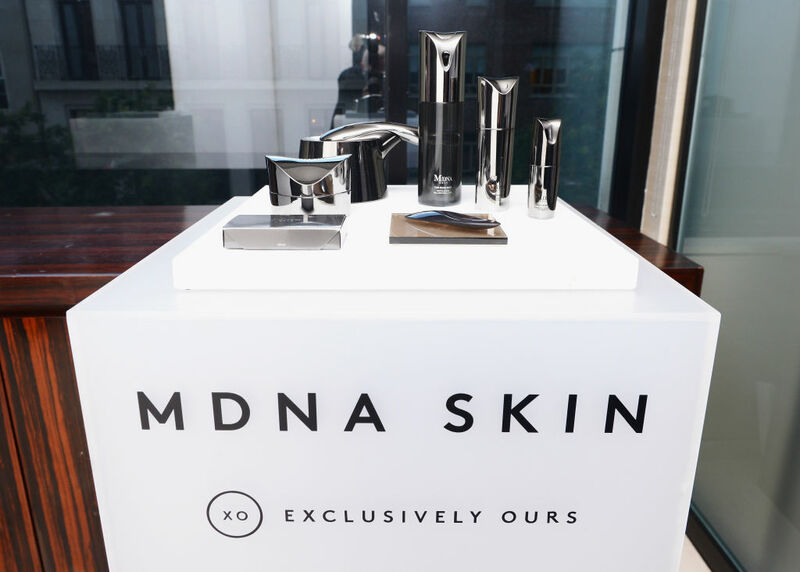 MTG Co. has a "kaleidoscope" of products under its purview, two of which are the MDNA SKIN skincare line developed in conjunction with Madonna and SIXPAD, an abdominal muscle-training gadget released with Ronaldo's endorsement. The company was listed on the Japanese stock market for the first time in July, and experienced a surge of 27 percent on its very first day. That was very good news for all of the company's shareholders, Matsushita chief among them, who owns a 72 percent stake in the company. Matsushita says he got started in business when he was still a student in grade school. He discovered some Dutch rabbits that resembled pandas while traveling to Nagasaki, bought some, and sold the novelty bunnies to fellow denizens of the small Japanese island where he grew up. Then in 1994, he started a used car business, but quickly determined that his true calling was to design products of his own. Two years later, he started what would become the predecessor to MTG, and in 2009 he had a big breakthrough with the success of an electronic massager called the ReFa massage roller, which purportedly improves circulation. "I started asking those around me if they knew Madonna … They looked at me like I was crazy. But eventually someone knew someone and after a while, we were finally able to reach her." In February of 2014, the MDNA SKIN line was born. Only a few months later, in July of that same year, he took a similar approach with Ronaldo, and yet another high-profile partnership began. Now, Matsushita wants to expand his SIXPAD fitness brand into additional gyms. Right now, there's only one "SIXPAD STATION" in Tokyo, but he wants to take the brand worldwide, with 500 more locations in Japan and another 4,500 all over the world.